The phrase "cool as a cucumber" originates in Florida. On a hot Florida day, the pulp of a cucumber can be up to 10 degrees cooler than the surrounding air. The Seminole Tribe of Florida was a pioneer in Indian gaming, opening the country’s first large-stakes bingo hall on the Hollywood Reservation in 1979. The John G. Riley House in Tallahassee is the only known house still in existence that was owned by a former slave. Tallahassee, Florida's capitol city, was the only southern capitol east of the Mississippi River to remain in southern hands for the duration of the Civil War. Santa Rosa County's Blackwater River State Forest area offers over a million acres of protected wilderness with miles of hiking trails and canoeing routes, dubbed the "Canoe Capitol of Florida." More than 3,000 Seminole Indians live on six reservations throughout the state of Florida: Big Cypress, Brighton, Fort Pierce, Hollywood, Immokalee and Tampa. More than 150 life-sized dinosaurs live in Plant City at an outdoor dinosaur museum called Dinosaur World. The Museum of Florida History in Tallahassee is home to the largest collection of Spanish-colonial gold and silver (not including private ownership). 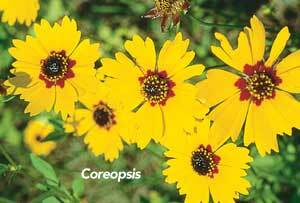 Florida's State Wildflower, the Coreopsis, is planted on Florida roadsides for highway beautification. It is found in a variety of colors ranging from gold to pink. Miami Beach pharmacist Benjamin Green invented the first suntan cream in 1944. Old Christ Church, an Episcopal church in downtown Pensacola's historic Seville Square, is Florida's oldest church (1832). The world's first commercial airline flight occurred in Florida in 1914 between Tampa and St. Petersburg. Florida's state beverage is Orange Juice and is served daily at four Official Florida Welcome Centers. St. Petersburg Clearwater claims to have 361 days of sunshine annually. The art deco district in Miami is home to the largest concentration of art deco architecture in the world. Pensacola's nickname is the "City of Five Flags" because throughout its history it has been under the rule of the Spanish, French, English, Americans and Confederates. Manatee County in southwest Florida is named for the gentle, slow-moving marine mammal once thought by sailors to be mermaids. Islamorada, in the Florida Keys, was named for the Spanish word meaning "purple island." Thomas Edison and Henry Ford had neighboring winter homes in Fort Myers. In 1987 the Florida Legislature designated the American alligator the official state reptile. Venice, in southwest Florida, is known as the Shark Tooth Capital of the World. The nation's smallest post office is located in Ochopee, Florida near Naples. Florida is home to the largest breeding population of bald eagles in the lower 48 states. Gatorade was named for the University of Florida Gators football team, where the drink was first developed. Plant City, the Winter Strawberry Capital of the World, holds the Guinness record for the world's largest Strawberry Shortcake. It was 827 square-feet and 6,000 pounds! Ten Pulitzer Prizes have been awarded to writers who lived on Key West, including Ernest Hemingway. 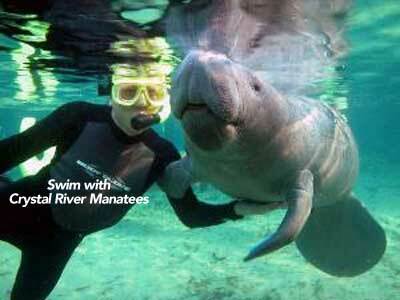 Crystal River is the only place in North America where it is legal to have a supervised swim with gentle manatees. The Florida Everglades are the only place in the world where alligators and crocodile co-exist. The nation's smallest police station is located in Carrabelle on Florida's Gulf Coast. Boca Raton comes from the Spanish "Boca de Ratones" meaning rat's mouth, a term used by seamen to describe a hidden rock a ship's cable might rub against. A sampling of recent movies filmed in Florida include: 2 Fast 2 Furious, Sweet Home Alabama, Out of Time, Adaptation and the Punisher. Naples claims to be the "Golf Capitol of the World" with more holes per capita than any other community. In addition, with more than 160 golf courses, Palm Beach County has more golf courses than any other county in the U.S.
Florida boasts more golf courses (1,370 and counting) than any other state in the U.S. The World's Largest Hard Rock Café, featuring a vast multilevel Café, is located in Orlando, at Universal Orlando Resort in the CityWalk entertainment complex. This Hard Rock boasts more pieces of rock 'n' roll memorabilia than any other location, including Beatles bricks from The Cavern Club and the doors from Abbey Road Studios. Famous rhythm-and-blues singer and pianist Ray Charles began his career playing dance-hall gigs in Tampa, Fla. In 1990, Charles received an honorary degree in music from the University of South Florida in Tampa. Florida covers 58,560 square miles (94.282 square kilometers) of area, of which 4,298 square miles (6.920 square kilometers) are water. Florida's southern tip at Key West is about 1,700 miles (2.740 kilometers) from the Equator, closer than any other point in the continental U.S. The oldest continuously occupied community in North America is St. Augustine, settled by Spanish explorers in 1565. Amelia Island, north of Jacksonville, is the only location in the U.S. to have been ruled under eight different national flags. The world's first building constructed using skyscraper (internal beam & curtain wall) technology was Jacksonville's six-story Dyal Upchurch Building, built in 1901. The longest fishing pier in the world is a portion of the original Sunshine Skyway Bridge that extends one-and-a-half miles into Tampa Bay. 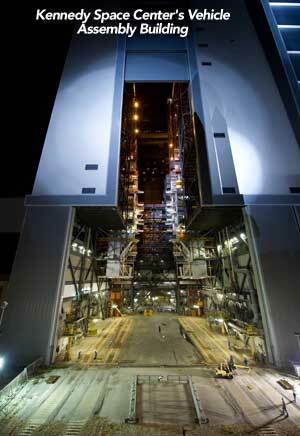 The Kennedy Space Center's Vehicle Assembly Building is the largest building in the world in terms of internal volume. Its ceiling is so high (at 525 feet/160 meters) that rain clouds can form inside the structure. Wherever you go in Florida, you're never more than 60 miles from the beach. Sand beaches, a Florida signature, account for 1,100 miles (1,770 km) of the state's 1,800 miles (2,898 km) of coastline. Florida has more than 8,460 miles (13,620 km) of tidal shoreline, second only to Alaska in that category. Florida beaches are home to 80 percent of loggerhead turtles in the United States. In May 2002, St. Joseph Peninsula State Park in Northwest Florida's Port St. Joe was rated the No. 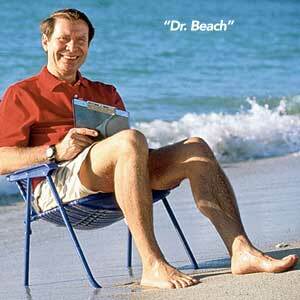 1 beach in America by Dr. Stephen Leatherman, a professor at Florida International University, known to the world as "Dr. Beach." Sanibel Island is one of the 10 best beaches in the world for shelling, with more than 400 species. Florida is home to six underwater preserves: the Wreck of the Half Moon, Urca de Lima, San Pedro, The City of Hawkinsville, USS Massachusetts, SS Copenhagen and SS Tarpon. The coral reef found in Key West is the third largest in the world, and the largest in North America. Florida has nearly 8,000 lakes of 10 or more acres in size. The Saint Johns River in northeast Florida is one of the few rivers in the world that flows north instead of south. The world's deepest freshwater spring is Wakulla Springs near Tallahassee. The city of Lakeland in Polk County was named so because there are 19 lakes within city limits. There are more than 800 Florida Keys, stretching more than 180 miles! Key Largo is the longest key at 30 miles long and a half-mile wide. DeFuniak Springs is home to one of the two naturally round lakes in the world, Lake DeFuniak.